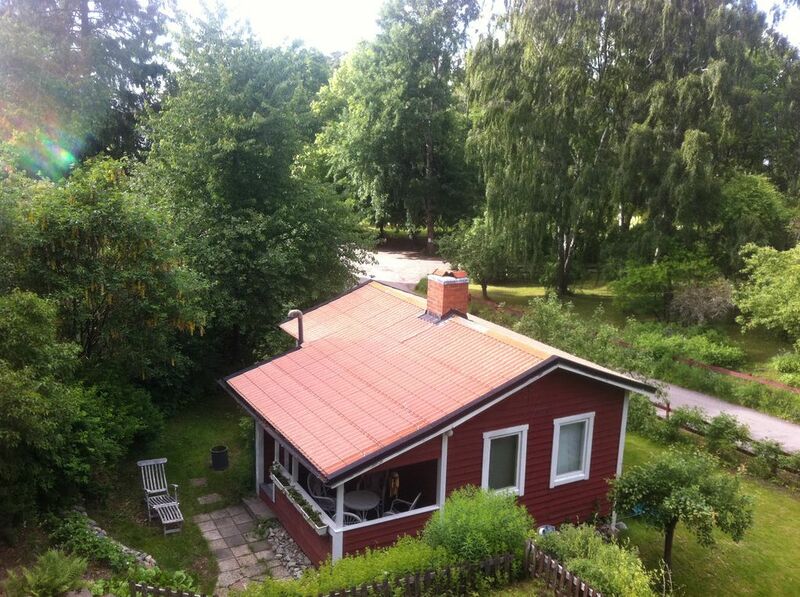 The property is located approximately 200 meters from the sea, with Stockholm archipelago around the corner. Surrounded by stunning lingonberry forest, flora and fauna. The Magic Valley has a rich cultural value, Stig Milles the brother of the well known Swedish artist / sculptor Carl Milles was one of the pioneers in the area. The location is just right for those who want the best of two worlds, the relaxing scenery of nature and ocean, and the hustle and bustle of Stockholm city voyage. court, boul court, and a canoe. On the porch in Ocean Atelier you can smell the scent of lavender from your private garden, while enjoying the whispers of the ocean. Also (late fall 2017) we are happy to anounce that we now got 1Gbit/s fiber connection internet installation. Providing blistering fast free unlimited internet surf at speeds much faster than any hotel in town can provide. Built summer 2012. All new, Hot shower, WC, sink and tiles. The cottage has its own parking lot. Blistering fast 1Gbit/s fiber connection. We also got two standup paddle boards. We have 3 adult bikes and some kid bikes. Tennis court can be booked 2 x times / week or when not in use. The closest 18 hole golf course with good resturant. Driving range etc. is only a short 8min. walk from the house. This is a marvellous place to spend holidays : a lovely house, clean and easy to live in. The location is really close to the sea and in the heart of a preserved and authentic nature. You can even see Bambis which was marvellous for the children and the parents ! Björn and Anetka are so nice and give advices for places to go to visit. The center of Stockholm is about 15 minutes by car. You can be in the deep heart of the city and take a bath in the sea at the lovely beach just close to the house 15 minutes later ! We recommend this location for a family who want to discover all the charms of Stockholm and sweden ! It was great having you here. archipelago around the corner. Surrounded by stunning lingonberry forest as taken from Bauers fairytale with many footpaths. The Magic Valley has a rich cultural value, Stig Milles the brother of the well known Swedish artist / sculptor Carl Milles was one of the pioneers in the area. He lived across the street. Lidingö golf course is about 1km away. The location is just right for those who want the best of two worlds, ocean life and the big city life. stylish with eclectic details. The rent includes share in sauna with a jetty, tennis court, boul court, and a canoe.